This clay torso broke apart in the kiln. A friend talked me out of tossing it so I took it home & lived with it for a while. 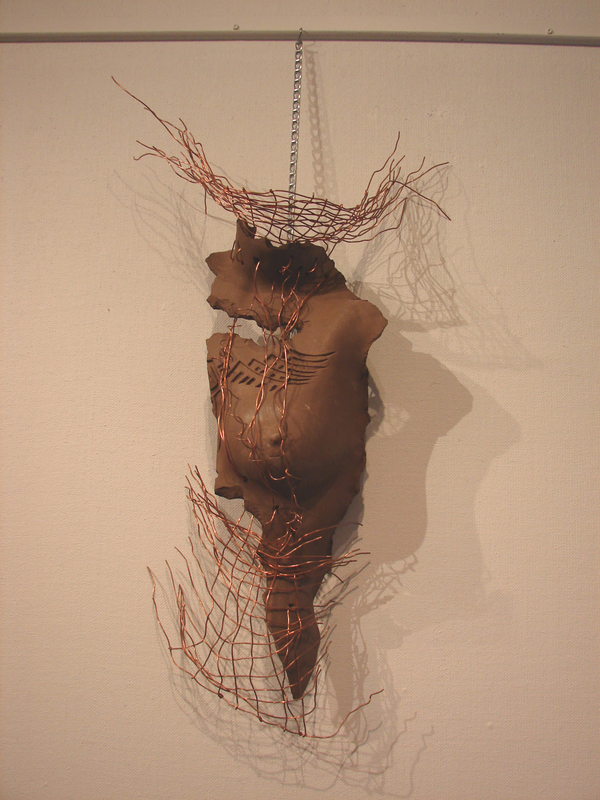 I kept seeing copper wire woven through the broken pieces & started playing, this is the result. The wire is like blood vessels or muscle tissue that tries to hold us together no matter what. Sometimes it just fails.